“Star Wars: The Last Jedi,” the eighth installment of the famous space odyssey, recently had the second-largest opening of all time, grossing $220 million domestically. The saga has won the hearts of millions since 1977, yet a similar story has been seen before, and it debuted in print nearly a decade before “Episode 4: A New Hope” made its premiere. It all started in the mid-1960s in the French magazine Pilote, where the comic “Valérian et Laureline” was first published. 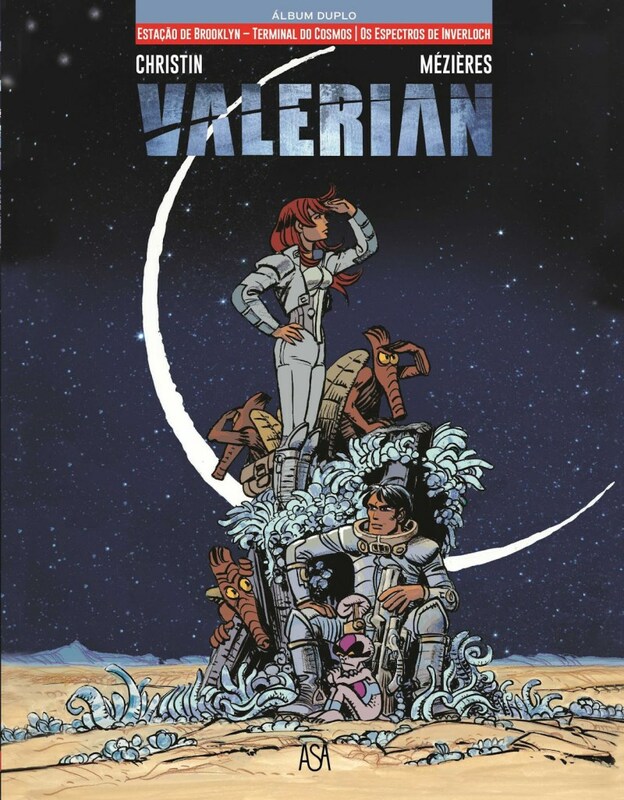 It tells the story of two agents, Valérian and Laureline, who travel through the galaxy protecting interplanetary peace and humankind itself. Many scenes in the original “Star Wars” trilogy appear to be carbon copies of panels from “Valérian et Laureline.” The two agents travel in a spaceship similar to the Millenium Falcon, a staple of the “Star Wars” saga. The famous “Star Wars” scene where Princess Leia is held captive by Jabba the Hutt is a replica of the scene in the Valérian volume, “The World Without Stars.” Thrillist lists not only these two accounts but a slur of others that would leave many “Star Wars” followers stunned. Luc Besson, a director best known for his work on “The Fifth Element,” “Taken” and “Lucy,” alongside Jean-Claude Mézières, co-creator of the comics, discussed the idea of making a movie adaptation in the late 90s. Unfortunately, too much of the Valérian story required special effects, and computer-generated imagery (CGI) was still in development. In 2009, the U.S. blockbuster, “Avatar,” proved that CGI was at a stage where the Valérian dream could come true. The execution of “Valerian and the City of a Thousand Planets,” released summer 2017, was phenomenal, but despite a solid storyline and visuals, the movie was a huge domestic flop. American moviegoers knew too little about the origins of the story, and as the Star Wars franchise was making its comeback, “Valerian and the City of a Thousand Planets” ended up being overshadowed and, ultimately, unrecognized. Not only did it make very little in the U.S., grossing only about $40 million, the movie made an 80% drop in China its second weekend. The box office turnout was not enough to cover the movie’s hefty $150 million budget (making it the most expensive French film ever made), and has left EuropaCorp, the studio in charge of Besson’s reimagining of the comic, in shambles. Despite the lack of success, Besson is not deterred from making the sequels. “There [are] many countries where, actually, it was really good… It hurts in U.S., and it hurts for the rest of the world because of that, but I think that there is still lots of people who heard about the film and maybe want to see it… if it goes normally then, yeah, I want to do the number two for sure,” Besson told entertainment website Collider. “Valerian” was the third-highest grossing film in France in 2017. While “Star Wars” continues to soar in success, one of its sources for inspiration is facing a brick wall. Commercially, “Star Wars” is a domestic sellout, and it doesn’t seem that U.S. citizens will be looking any other way but the way of the force until the hype softens. Until then, Besson’s work remains, unfortunately, the universe’s underrecognized gem in science fiction.